The Purple Onion Café opened on Main Street in Shallotte in 2004. Since then they have become a community favorite serving locals & visitors breakfast and lunch with a delicious menu of pastries, traditional breakfast items, burgers, sandwiches, soups, salads, and desserts. 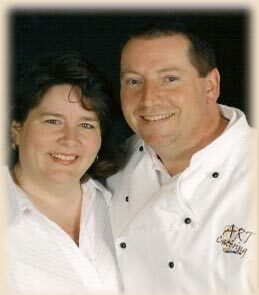 Andrew & Terry Bland are the owners of the Purple Onion Café and ART Catering & Events. Andrew, a trained Executive Chef from England, runs the kitchen while Terry instills her southern hospitality into the business side. Together, they make the perfect team for this growing business and have become well-known throughout the area for both their beloved café and their generosity to the community.